The World of Transportation in High Dynamic Range! The General, a photo by Carolinadoug on Flickr. 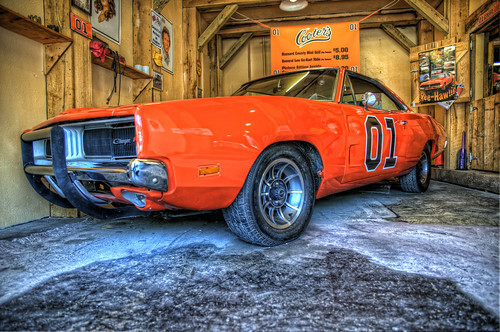 Taken in "Cooter's" Dukes of Hazzard museum in Gatlinburg, TN. Many more cool car pix over at www.hdrrides.com! 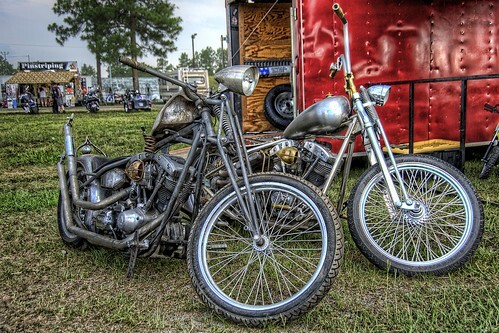 A Pair of Shovel Head Choppers, originally uploaded by Carolinadoug. The Horse Magazine holds an annual motorcycle rally called the "Smoke Out". This is the 11th year. The Smoke Out is as much a party as a bike show. The theme is "home built". The event has live music, drag racing, and burnout contests. Check it out! Lots of fun. Many more Smoke Out XI pictures at Smugmug! 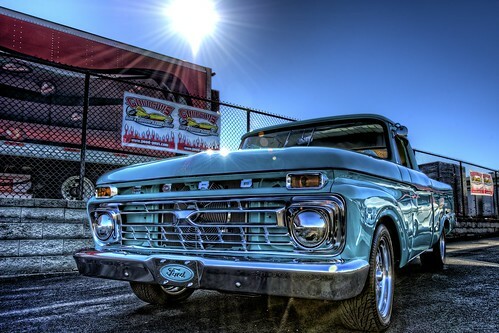 Ford Pickup at the Southeastern Nationals, originally uploaded by Carolinadoug. Many more pictures from the show as well as the non-HDR versions atSmugmug! DC-3 N58NA in the WWII Museum in New Orleans, originally uploaded by Carolinadoug. 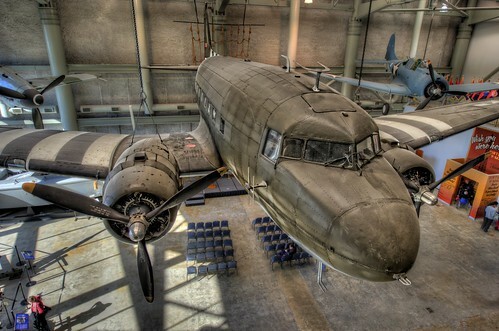 This historic DC-3 is now hanging from the ceiling in the WWII museum in New Orleans. This aircraft served with the 9th Air Force / 4th Pathfinder Squadron during WWII. Following the war the aircraft was sold to the Finnish Air Force where it served until 1970. In 1976 it participated in the filming of "A Bridge Too Far". In 1985 it was sold to a small US cargo company and served as a cargo carrier with various small companies until it was sold to the museum in 2006. I personally had the distinct honor of flying this aircraft all over the US and Canada in the late 1990's early 2000's. Despite its high time it was the best flying aircraft in our fleet of DC-3's . More pictures in the Smugmug gallery. 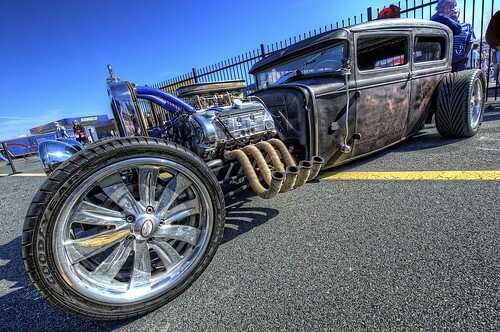 Rat Rod, originally uploaded by Carolinadoug. Taken at the 2010 Goodguys Southeastern Nationals at Charlotte Motor Speedway in Concord, NC. I am an amateur photographer into planes, trains, and automobiles shot in HDR; however I do enjoy photographing of almost anything. Professionally I am a Project Engineer for a tool company.